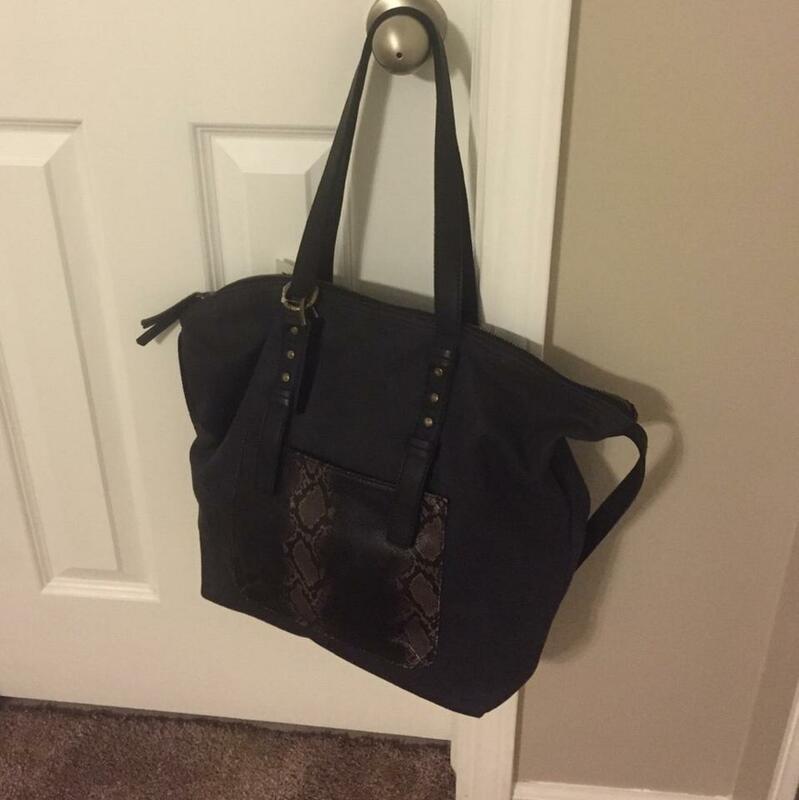 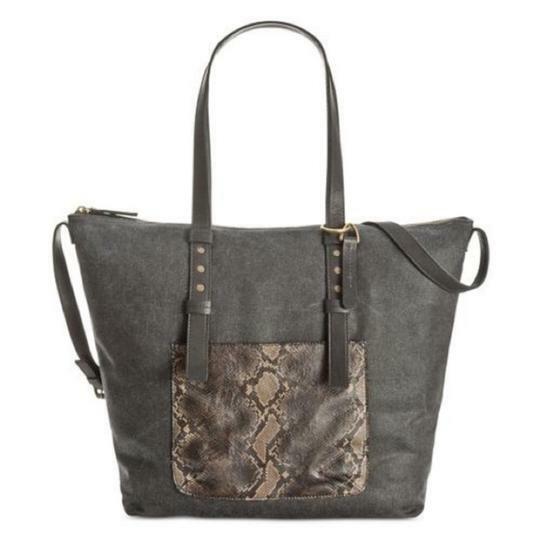 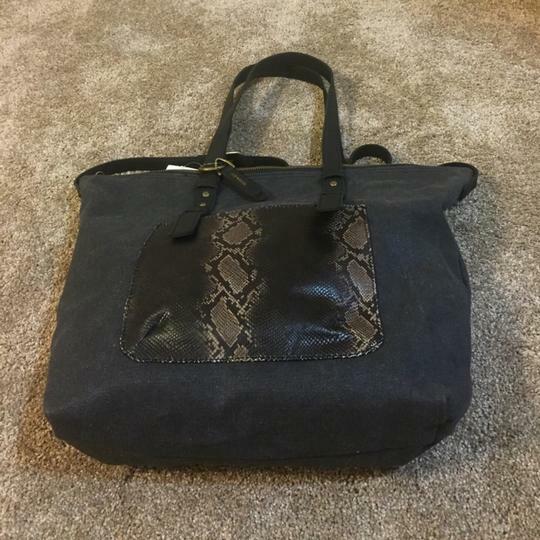 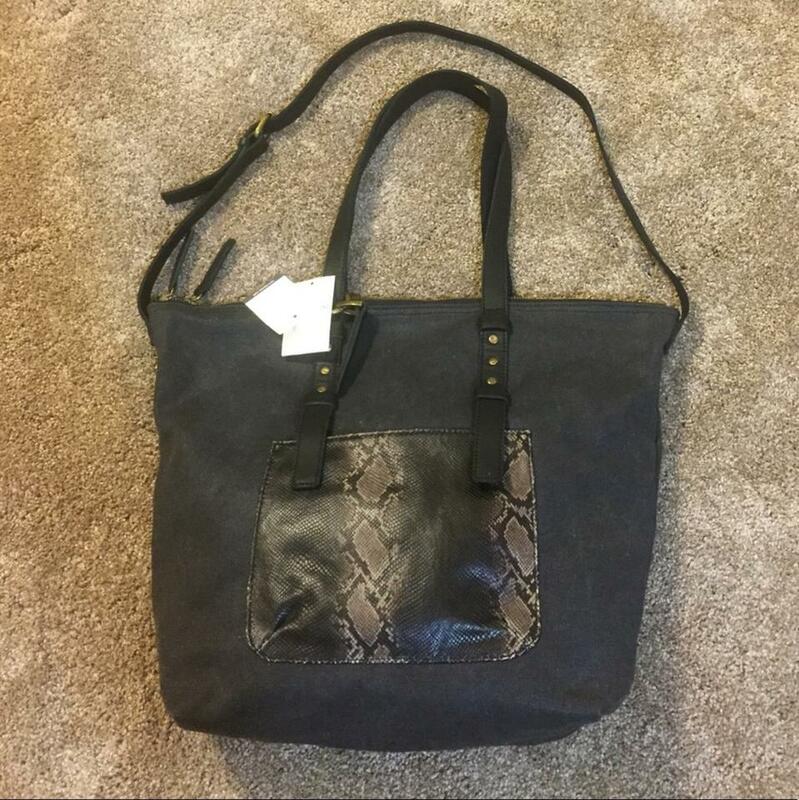 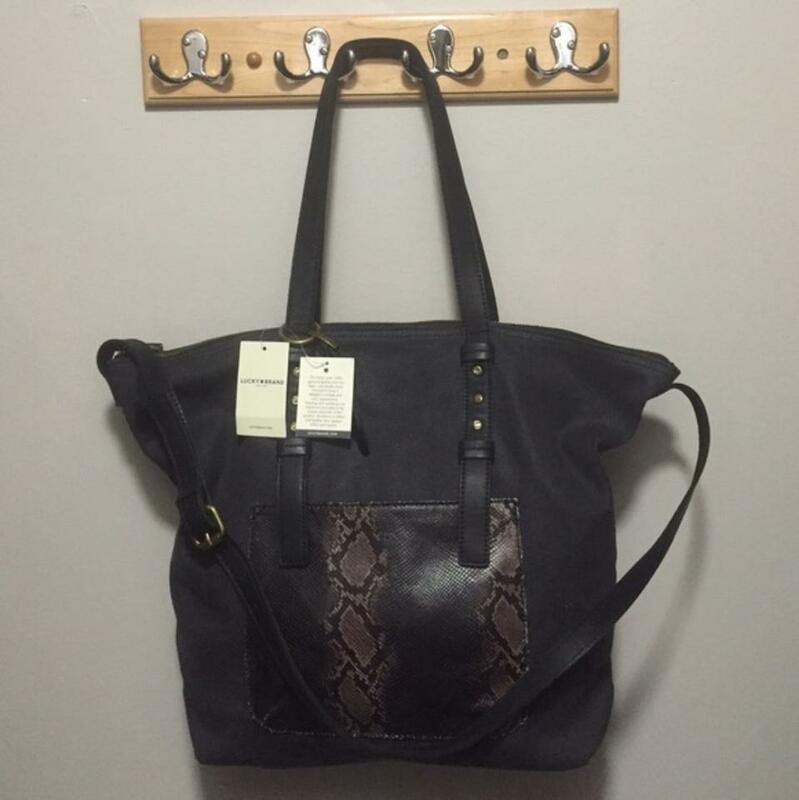 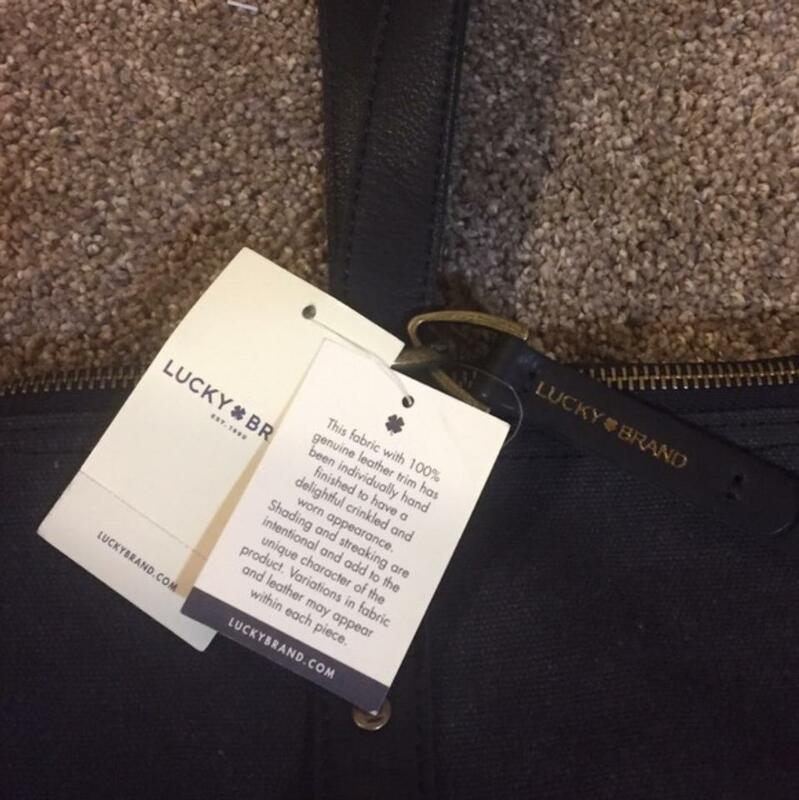 From college to career, Lucky Brand's sturdy cotton tote zips a modern look with a snake-print patch pocket, slender straps and minimalist hardware. 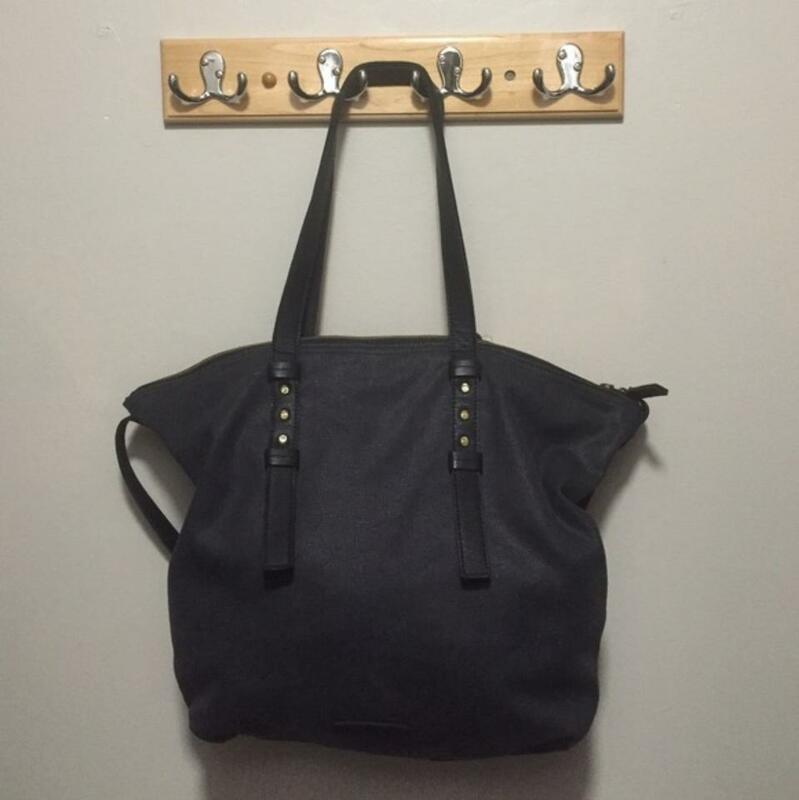 Cotton twill; Leather trim. 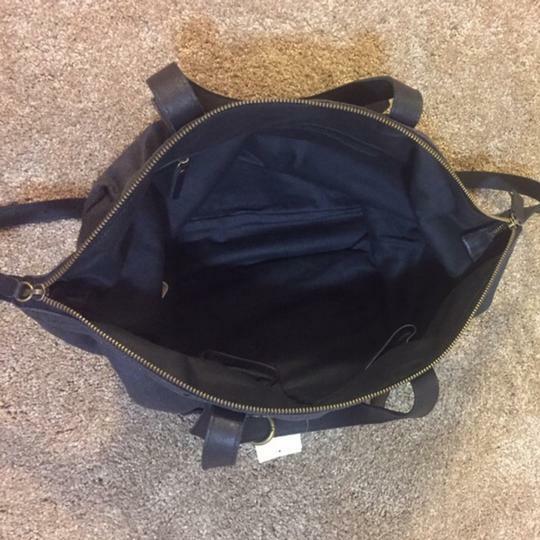 Double handles with 10' drop; shoulder strap with 13' drop Zipper closure Exterior features antique brass-tone hardware and 1 front slip pocket Interior features 1 zip pocket and 2 slip pockets. 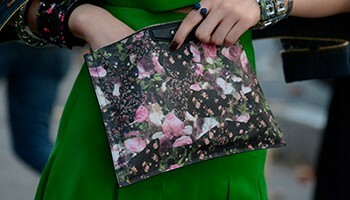 Bag measures 14" W x 12-1/2" H x 4"D.